DAYTONA BEACH, Fla. (March 14, 2017) – AMA Pro Racing today announced six rounds on the 2017 AMA Pro Hillclimb schedule. White Rose Motorcycle Club will again host the opening round on Sunday, June 4 in Spring Grove, Pa.
One week later, Hillclimb athletes will head north for round two and the first stop in Freemansburg, Pa. for the first of two events at Bushkill Valley. Racers will have two chances to dominate the Bushkill Valley Motorcycle Club's 500-foot hill on Sunday, June 11 and again on Sept. 10. 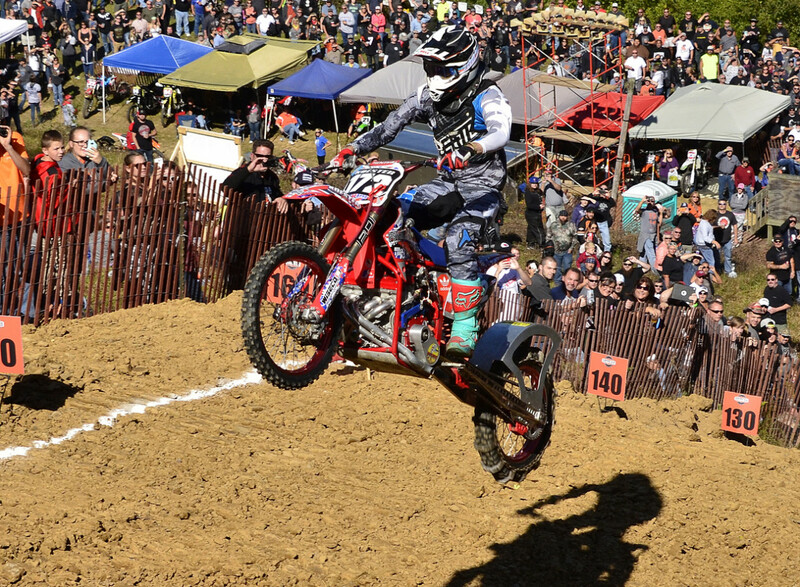 Round three on the schedule will travel to Cookeville, Tenn. on July 15 for the AMA Pro Hillclimb All-Star Challenge at Buffalo Valley Motorcycle Club. The event features a third-round shootout of the top-10 athletes in the Xtreme and Unlimited Classes. The series’ All-Star challenge will also be held in conjunction with Harley-Davidson’s Southern Backroads HOG Rally. Returning to White Rose Motorcycle Club on Sept. 24, athletes will be given one more chance to prove themselves before the season finale in Oregonia, Ohio on Oct. 8 at the Dayton Motorcycle Club. Additonal events are in negotiation and are expected to be announced in the near future. June 4: White Rose Motorcycle Club – Spring Grove, Pa.
June 11: Bushkill Valley Motorcycle Club – Freemansburg, Pa.
July 15: AMA Pro Hillclimb All-Star Challenge at Buffalo Valley Motorcycle Club – Cookeville, Tenn.
September 10: Bushkill Valley Motorcycle Club – Freemansburg, Pa.
September 24: White Rose Motorcycle Club – Spring Grove, Pa.